Best Things To Do Near Glencolmcille, Donegal. This page covers some of the best things to do near Glencolmcille in West Donegal, Ireland. We take you through the best thins to see, to do, where to eat, and some of the local bars and pubs. We’ve added in a few things that are a short drive away because we think they’re worth adding into this list. We look at beaches, the folk village, pubs and natural attractions. Make sure not to miss out on videos seen on the right hand side of some of the attractions. Jump in and start planning your perfect holiday! The main attraction. Slieve League is by far one of the best things to do near Glencolmcille. From the highest point on these sea-cliffs, it’s a dizzying 609m (1,998 feet) drop into the breath-taking Atlantic Ocean below. It offers a beautiful lookout point, easily accessed by car. For the more adventurous, this offers some incredible hiking. 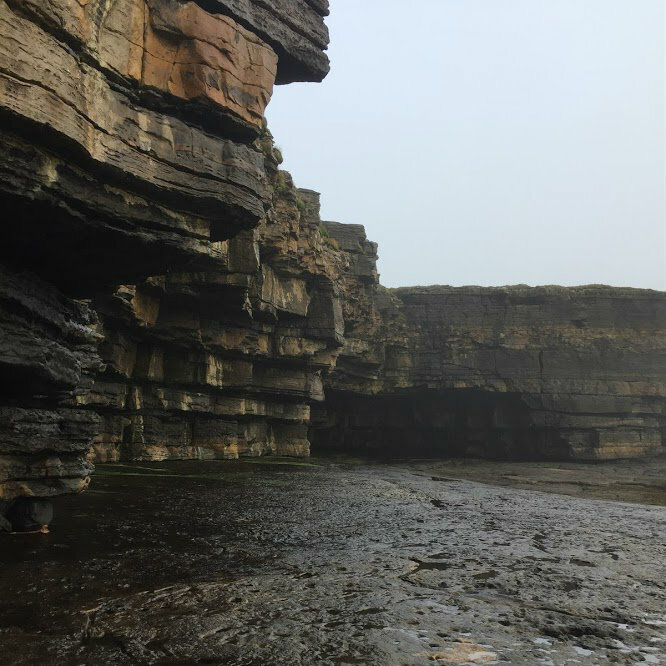 Silver Strand Beach (Malin Beg to locals) is a hidden gem located walking distance from us; or grab one of our bicycles. The video on the right shows you all you need to know about this beach; easily one of the best beaches near Glencolmcille. 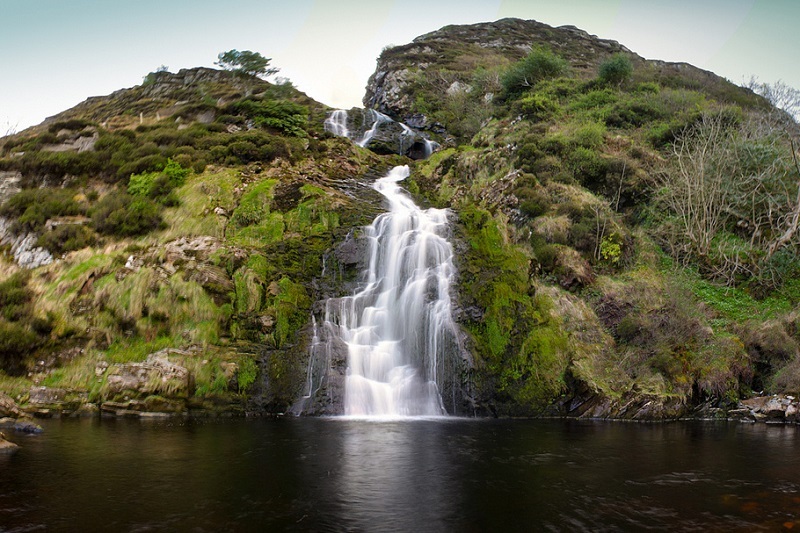 Situated near Maghera beach and caves, churns this beautiful waterfall. TripAdvisor rating of 4.5 stars (out of 5). Whether it is sunny or raining, both offer incredible photo opportunities. Behold this place of exceptional beauty; nature at its most raw. Enter the small caves, staring out at the wild and beating ocean. Make sure to ask us about safe times to visit; you want to time the tides correctly to get the best experience. Popular with local climbers for its unusal routes and amazing view. 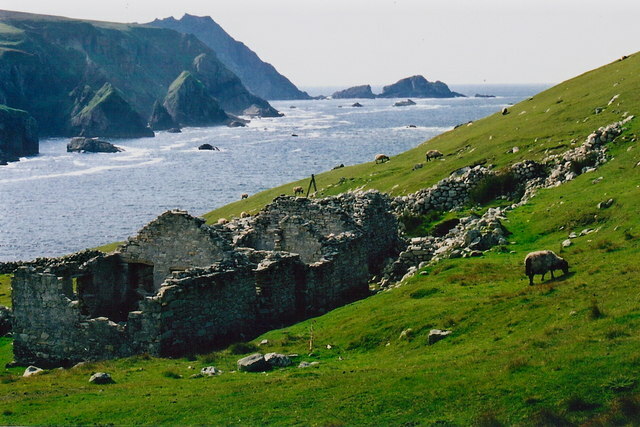 Abandoned during the great famine of 1845-1852, this coastal village used to be a thriving fishing village. Likely the first maritime port in County Donegal, this small village is steeped in local folklore. Legend has it that this village is haunted, by the ghosts of those left behind who perished during the famine. What is strange is that it seems the entire village left, or vanished. Nobody knows what happened to this day. 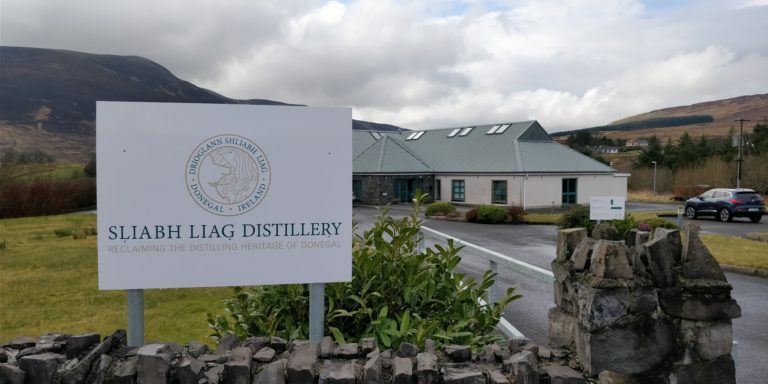 Sliabh Liag Distillery is reclaiming the distilling heritage of Donegal by building the first distillery in the county in over 170 years. Distilling ‘An Dúlamán Irish Maritime Gin’ and producing the legendary ‘Silkie’ blended Whiskey. The tour covers the botanicals used in the distilling process, the legends, and history that inspired the drinks. Well worth the visit, and these spirits are available for purchase locally. Sliabh Liag (That’s Slieve League in Gaelic) Boat Tours run 90 minute boat trips from April to October. Take in the majestic sea-cliffs of Slieve League from the ocean, and explore our wild Atlantic coast. 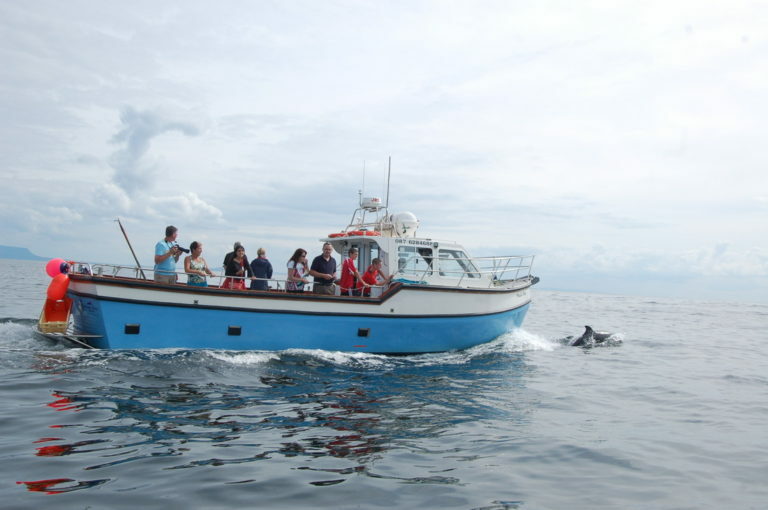 This boat trip is always a hit with our guests and is one of the best things to do near Glencolmcille. This folk village provides a glimpse of what daily life was like in centuries. past. The Folk Village Museum is a collection of several small cottages, called a ‘clachan’. The village overlooks the sandy Glen Bay Beach. Designed, built and maintained by local residents, it is one of Ireland’s best living-history museums and one of the best things to do in Glencolmcille during your stay here. Have a wonder about, or join one of our excellent guided tours. Take a look at how our ancestors lived, cooked, slept, and went about their daily lives. From the social stroller to the serious hiker, Donegal has a large variety of well established walking and hiking routes. 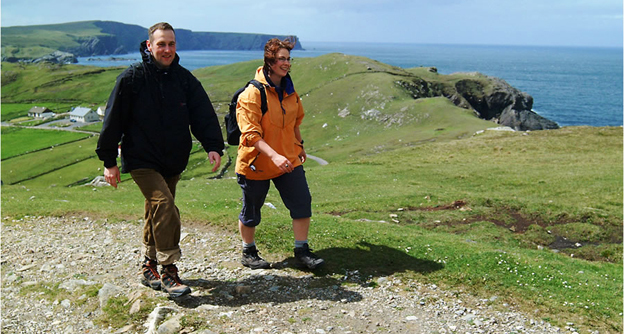 A fantastic resource for walking routes is linked below. Aras BnB lies near the start of the International Appalachian Trail. 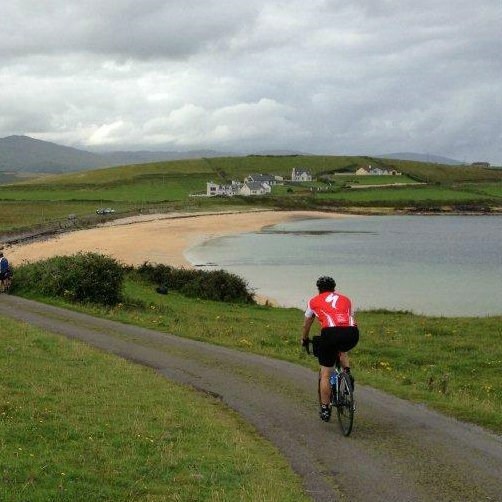 Enjoy a diverse mix of coastal and highland routes in and around Aras, as well as across County Donegal. We work with ‘Ireland by bike’ to provide our guests with access to rental bicycles for €15 a day, including all required kit. The link below details some of their local cycling routes. Glencolmcille is famous for its wealth of archaeological sites and artifacts. This rich heritage of monuments dates as far back as 3,000 b.c. 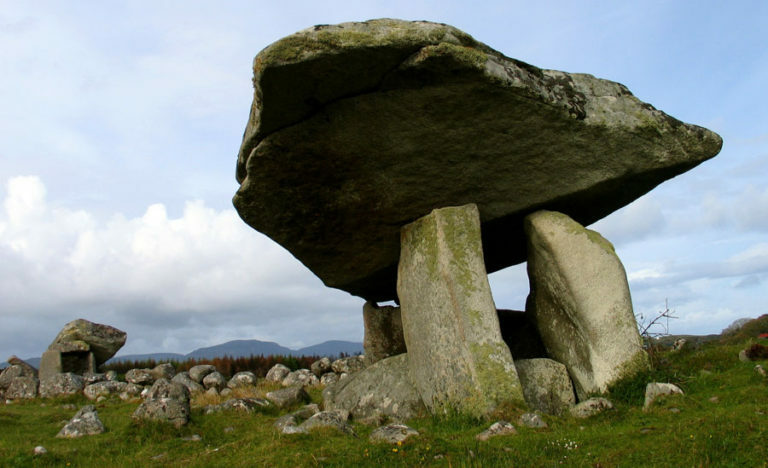 Just down the road from us lies the Clogenmore Megalithic Tomb, dating back 5000 years. An Cistin is a welcoming cafe and one of the best spots to eat in Glencolmcille (a short ten minute drive from Aras BnB). They offer Irish and European foods, including soups, seafood, vegetarian Friendly meals, and gluten free options. We have always had our guests mention good things about this restaurant. The one thing to note is that they’re only open from 12 to 9 pm. 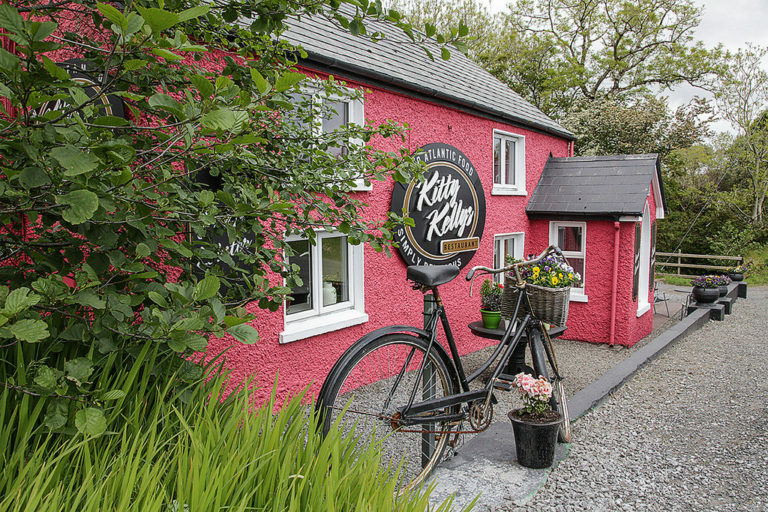 On the drive from Killy Begs to Glencolumbkille, you’d struggle to miss this eye-catching pink restaurant. Housed in a restored 200 year old farmhouse, this restaurant brings a lot of character. Serving Seafood dishes. 25 minutes from Aras. This traditional Irish bar and restaurant is in its 7th generation of family ownership by the McHughs. You don’t have to be great at math to know that that’s a long old way back. 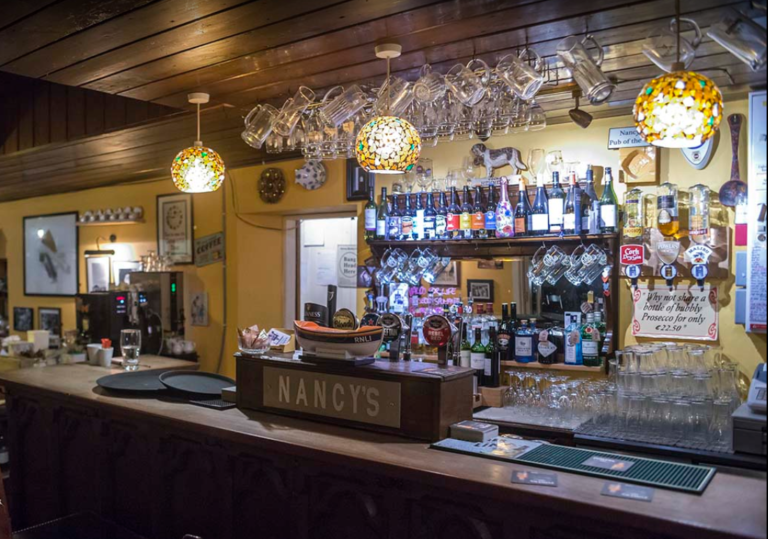 It’s a traditional little pub with lots of nooks and crannies, filled with antiques, making it snug and homely. 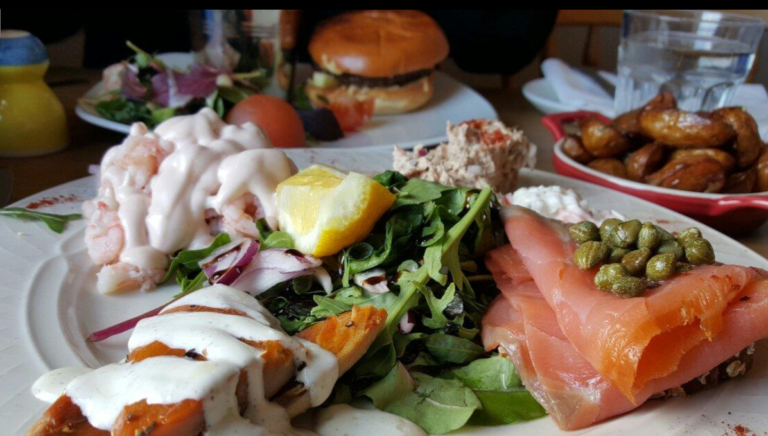 Offering traditional Irish food, their menu can be a little limited but the food they do is done extremely well and gets great reviews. Dishes are mostly seafood, but they do offer beef burgers, and vegetarian options. 40 minutes from Aras BnB.